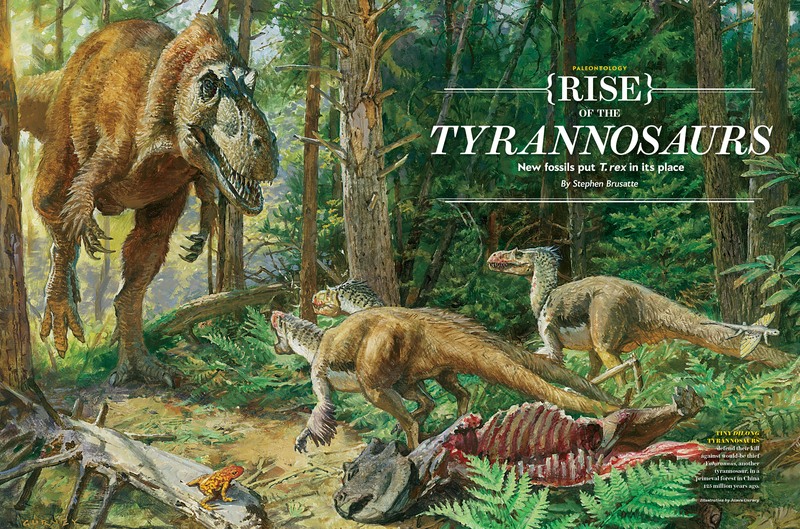 A few weeks back we mentioned in this blog the job we did for Scientific American about new species of tyrannosaurs that have been discovered in the last few years. That job included the creation of an infographic, and the art direction for the opener spread. 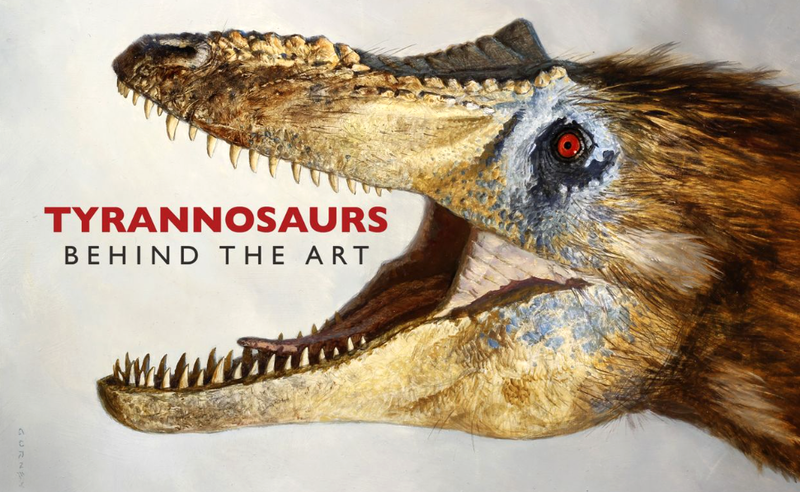 In the later, we had the privilege of working with the great painter James Gurney, the creator of the famous Dinotopia series. He also created the impressive illustration shown above for the cover of that SA issue. Now James has released a fascinating video showing the process of creation for both illustrations. There is a five minute version (below), and a 40 minutes HD version available here and here for purchase. James happens to be, in addition to an incredible painter, an excellent art teacher. If you are interested in painting, you should check out his YouTube channel, chock full of nicely crafted instructional videos. This entry was posted in Graphics, Uncategorized and tagged Art direction, Illustration by Samuel Velasco. Bookmark the permalink.